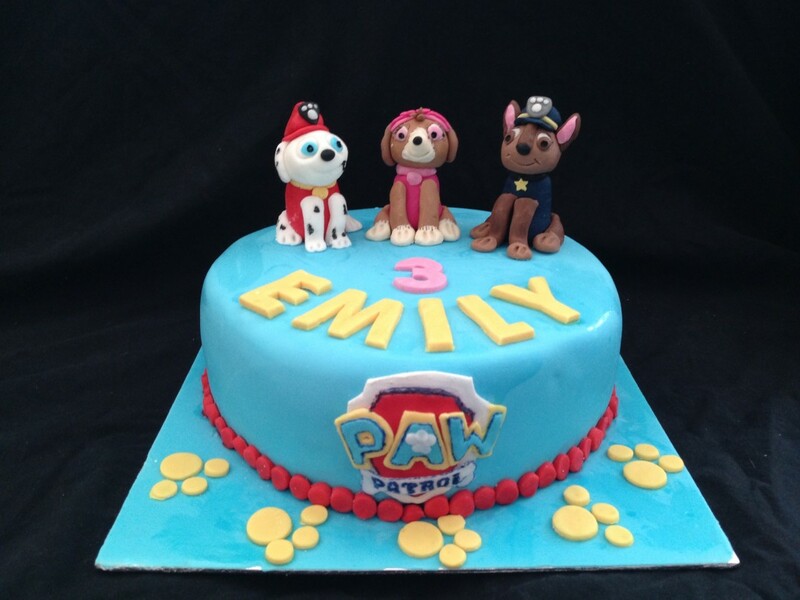 A paw patrol cake featuring the TV shows Logo and the birthday girls 3 favourite characters as cake toppers. Marshall, Skye & Chase. Everything is 100% edible and hand made by me of course!